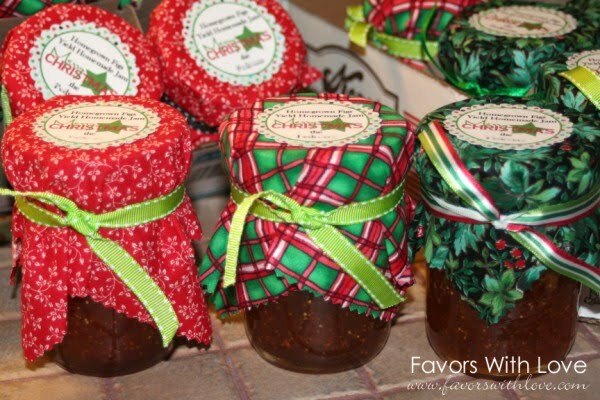 Remember this Fig Jam? Well it is all ready for gifting! Just added some Christmas fabrics a ribbon and a tag and ta da! Pretty little handmade gift! Yay for our figs! These would make an excellent favor for a Christmas gathering too!